Boy, it’s been a while since I’ve done one of these. But anyways, back by popular demand (and by that, I mean I feel compelled to resurrect this), the Shameless Advertisement highlights the upcoming month’s most anticipated new release. While I advocated for “The Five-Year Engagement,” and still anxiously await it, the readers are fanboyishly most excited in April for “The Cabin in the Woods.” I don’t get it, but then again, I haven’t really tried. We’ll see if I make it out for this one. I’ve never been a Joss Whedon fanboy, but I understand that there’s a significant portion of the Internet that is. So they can rejoice at their appetizer for May’s “The Avengers,” his horror-comedy “The Cabin in the Woods.” I, on the other hand, will still try to figure out what it is that has the Web so enamored with this man’s work. Enjoy a month of moviegoing, folks – summer’s almost here! And since I didn’t give September its fair shake (sorry, college called), here’s what the readership of “Marshall and the Movies” thought would be best to highlight, “50/50.” (It was a tie with “Drive” and I didn’t like it as much.) Here’s an excerpt from my review, in case you missed it on Thursday. The return of the OSCAR MOMENT. It’s that time of the year. Get excited. First predictions of the year out on Monday. I don’t know how I’m going to do the individual columns this year, but they will come fast and furious. Review after review after review. I have two Post-It notes on my dashboard with the movies I have left to review. My goal is to get them all in before the end of the year. We’ll see if that’s possible. Lists. They are easy to do. Expect them to pop up more frequently. Now that I actually got votes on the WTLFT poll, it’s time to bring back the “Shameless Advertisement” series from the grave! Dormant since February, it’s now time to give a shameless plug to a movie that looks the most promising to readers of the site. While there was one voter (COUGH Steven Flores) who said there was nothing they wanted to see in August, four voters seemed to have no problem finding something to look forward to. Problem is, they were divided on what that movie is. Word of mouth is good, so hopefully this will be a great late summer surprise hit. Those are always nice. Who knows, maybe there will even be an awards play. But it will need the critical support to get it. Did you know I write reviews? I’ll hopefully start closing the gap between how many movies I’ve seen and how many reviews I’ve written. Three months of watching without writing makes for a pretty sizable list of reviews left to write. Seeing more movies on top of that makes it worse. F.I.L.M. tie-ins. The “F.I.L.M. of the Week” column this month will largely be recommending alternate viewing for your favorite stars, leading you towards dependable and reliable movies from Jesse Eisenberg, Anne Hathaway, and Paul Rudd. Comedy in the spotlight. Much discussion in Weekend Update and perhaps the “Classics Corner” column will center on the state of comedy in Hollywood in 2011. Be prepared to think! And that’s pretty much August! I head off to college too so don’t be surprised if things dry up for days at a time, but I’ll do my best! It’s February – which means that it’s the last month where we have to live in 2010! With the Oscars getting underway in 26 short days (eek), the theater near you is beginning to chunk the films for “Black Swan” in favor of “The Roommate.” Nothing quite like the quality cycle of moviewatching, is there? So that’s that. Enjoy “Cedar Rapids” when it comes to a theater near you! As for other things you can expect on “Marshall and the Movies” in this incredibly abbreviated month, here’s a quick rundown. The Oscars. Well, duh. Live blog? For sure! More “Know Your Nominees? !” You bet – every three days! Editorial pieces about the race itself? If all goes well, then yes! I hope to provide fun and enlightenment on this exciting season for all my readers! F.I.L.M. features Oscar nominees. The Friday column “F.I.L.M. (First-Class, Independent Little-Known Movie) of the Week” will continue through February with past underrated or under-seen gems from the Oscar class of 2010. See these stars before they could affix “Oscar nominee” before their names (or maybe after for certain overachievers). Rom-Com to Oscar Gold, Part 2! It’s actually coming … nearly three months later. I promise. Reviews, reviews, reviews. Nothing changes. I’m looking forward to a great February with you all! In a heated four-way tie for the most anticipated movie of January 2011, I chose “No Strings Attached” over “Country Strong,” “The Green Hornet,” and “The Way Back.” Why? Because it has Natalie Portman but, more importantly, Natalie Portman. One of my goals for 2011 is to enhance the community that reads and supports “Marshall and the Movies.” And since certain people are a little skittish about commenting (or just forget to visit the site), I know it might be easier to connect with people by bringing my site to them on the site they are most likely to check everyday. So, to start off the New Year strong, I’m going to try to breath some life into the discussion boards! There will be a contest to reward the most active participant, and the winner will receive a DVD or digital download of “The Social Network!” The contest will run until Sunday, January 16, and points will be distributed as follows: 1 point for replying to a topic, and 2 points for starting your own topic! Fun fact: did you know that Mark Zuckerberg made the primary color of Facebook blue because he is red-green colorblind? Now you know. 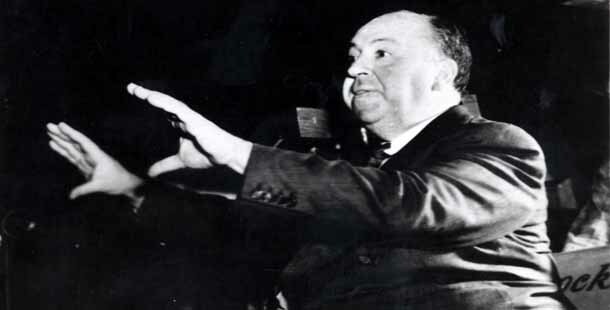 Can you believe I’ve NEVER seen an Alfred Hitchcock movie? It’s actually been an act of defiance as I have been waiting for a new year to start so I can devote a whole twelve months to study the director’s work. I plan on watching a manageable one movie per month in a series I’m calling “Hallowed Hitchcock;” here’s my tentative schedule. I’ll gladly take any suggestions! Extensive Oscar coverage. I’m debating whether or not to live blog the Critic’s Choice Awards, Golden Globes, and/or SAG Awards. Sound off below! Reviews, reviews, reviews. Expect some 2011 mixed in with some 2010. I’m looking forward to a great month! Remember to participate, and you can help me make “Marshall and the movies” an even greater community for movie lovers on the web! 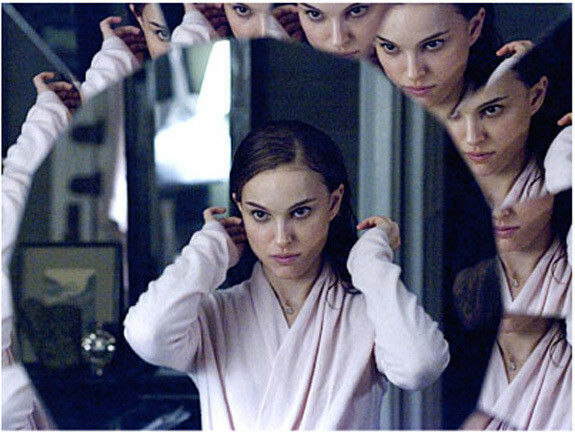 “At 18, I’m probably a little young to be using the phrase ‘they don’t make ‘em like this anymore,’ but I can’t help but have it come to mind when talking about ‘Black Swan.’ Simply put, Darren Aronofsky’s brilliant directorial artistry has culminated in a stunning masterpiece that is unmatched in vision or ambition by anything that cinema has churned out in a long time. So needless to say, YOU NEED TO SEE “BLACK SWAN!” Every minute until you do is wasted. As for the other movies people wanted to see in December, “The Chronicles of Narnia: The Voyage of the Dawn Treader” took second place with two votes. “True Grit,” “Rabbit Hole,” and “Another Year” each garnered one vote as well. We are looking at a great month for movies, so enjoy all the options – there are plenty of movies that didn’t receive a vote that still look fantastic! Awards, awards, AWARDS!!! I’ve been building up to Oscar Season since March … and now it’s finally here! To keep you updated on the trends, I will begin a weekly round-up of major trends involving critics groups, guilds, and everything else that plays a part in influencing the Oscar every Friday – starting December 3. The “Oscar Moment” column focusing on individual movies will die down a little bit now that most movies have been covered, only popping up here and there to cover those that I have missed. Reviews, reviews, REVIEWS!!! If you thought there were a lot of reviews in November, just brace yourself for December. In addition to covering the multitude of December release, I’m also going to try to include my reviews of all the other 2010 releases I’ve seen this year. The “Classics Corner” column will cover an old movie pertinent to December releases, and the “F.I.L.M. of the Week” column will tie into many things, including Christmas and the DVD release of “Inception.” Also exciting – “Save Yourself!” returns with a warning against a movie you may be tempted to watch this month. Year-end wrap-up. Just like any critic, I’ll wrap up what I’ve learned about the movies in 2010, culminating in my year-end top 10 list (and most likely an honorable mention list as well). “‘127 Hours’ isn’t a conventional movie. Its success will be mainly because of Boyle’s directorial skills as the movie requires a firm hand behind the camera. The movie tells the story of Aron Ralston (James Franco), a camper who winds up stuck in a canyon for over five days, ultimately leading to … well, you know. It gets rough, and Boyle said he wants the movie to be a challenge to moviegoers. The premise doesn’t seem very translatable to the big screen, and making it work is surely a directorial triumph. It’s worth nothing that “Harry Potter and the Deathly Hallows, Part 1” came in a close second with three votes, and “For Colored Girls,” “Love & Other Drugs,” and “The King’s Speech” each received a vote. All good picks! And here’s what I’m planning on writing for you all in November! Lots and lots of Oscar Moments. I plan on wrapping up my takes on all this year’s contenders for major categories in November, mainly to beat the National Board of Review’s picks to officially kick-off the Oscar season. What’s left? Unseen candidates “True Grit” and “The Fighter,” darker movies like “Blue Valentine” and “The Way Back,” and lighter fare like “Love & Other Drugs” and “How Do You Know.” Expect a couple of surprising posts too. From Rom-Com to Oscar Gold. What does this mean? Find out in a two-week feature starting next week. Lots and lots of reviews. Where were all my reviews in October? Not written, that’s where! I’ve been watching a lot and writing very little, but I’m going to try to make November’s trend to watching a lot and write a lot. I’ve seen “Hereafter” and “The Town,” so both of those reviews will be coming up. Expect plenty of reviews of November’s releases and some reviews of this summer’s release sprinkled in the midst of those. Who knows what else is coming? There’s Classics Corner, the weekly F.I.L.M. column, and random factoids galore!